We provide a full range of Tower Cranes and lifting equipment to the construction industry with anything from the efficiency and speed of Mobile self erecting tower cranes with maximum lift capacities of 1.5 Tons to heavy lifting Tower Cranes with maximum capacities of up to 64 Tons. We provide a full range of Tower Cranes and lifting equipment to the construction industry with anything from the efficiency and speed of Mobile self erecting tower cranes with maximum lift capacities of 1.5 Tons to heavy lifting Tower Crane with maximum capacities of up to 64 Tons. We have specialist tower crane lifting solutions which include the GTX1100 with it’s 140m height capability and the ability to lift 95 Tons. This heavy lift tower crane is ideal for power stations, wind farms and any other site that requires extraordinary height and reach applications. 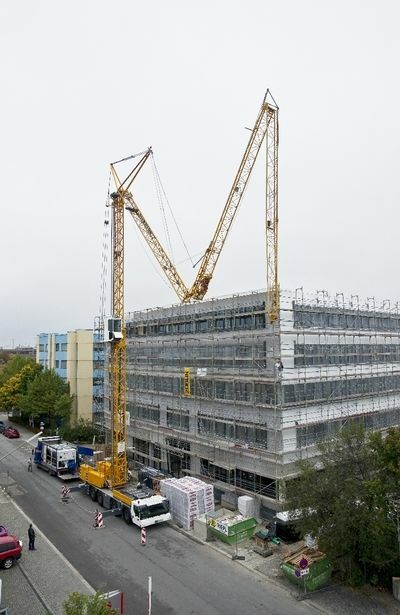 Versatility and speed of erection are what make the Mobile Self erecting Tower Cranes the Construction Industries go to crane for long reach lifts that are required only for a short period. Variable work heights that best suit the job. 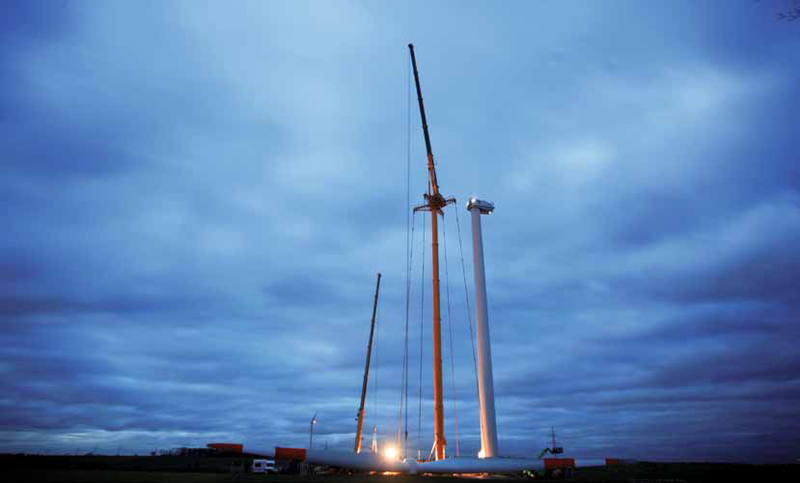 The largest crane in the self-erecting Potain range also offers the most flexibility in configuration. With single trailer transport and a folding jib, the Igo T 130 fits in easily among even the tightest site constraints. 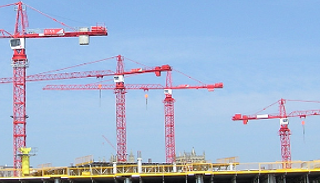 Potain is the undisputed leader in the Tower Crane Industry having been manufacturing a full range of Tower Cranes since 1928. Potain continues to innovate in the lifting and hoisting industry and provides the reliability and service required by the Worlds leading construction companies. We offer tower crane hire in South Africa as well as cross border in South, East and West Africa. Being a leading Tower crane rental company in South Africa, we pride ourselves in offering tower crane and hoist equipment that is unmatched. Tower crane South Africa has a comprehensive offering of top slewing tower cranes which range in height from below 20m to a mximum of 140m with reaches in excess of 60m and maximum weight capacities of 95 Tons. Get a quote on your next Tower crabne rental from us at Tower crane South Africa. 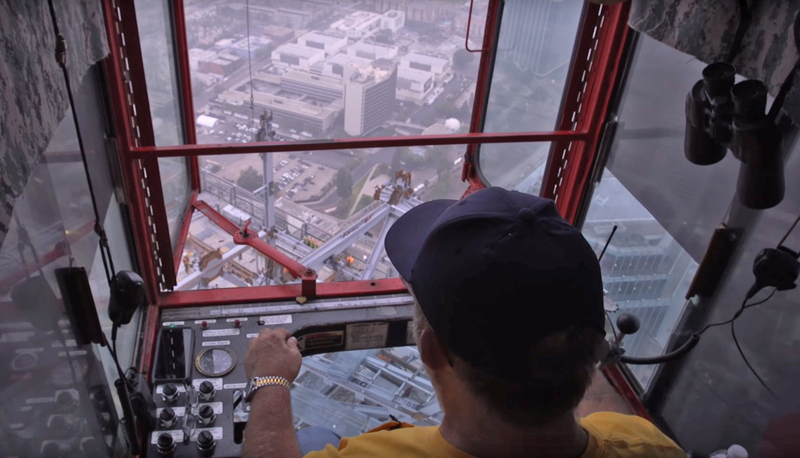 The heavy lifting GTX 1100 is a tower crane like no other. It comprises of a Grove 440 set atop an 80m tower and is ideal for Wind parms, power station and other infrastructure projects. The autonomous self erecting tower cranes are ideal for construction sites where the crane is required periodically over a long period or for short term rental. Our Potain self erecting tower cranes have maximum lift capacities from 1.8 ton to 4.0 Ton with heights up to 38m and reaches from 16 to 40m. 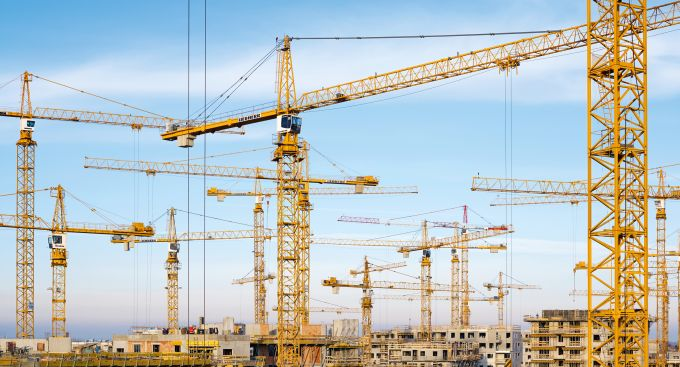 Self erecting tower cranes can be erected and ready for their first lift within hours of leaving the yard, which makes them them an affordable, versatile and essential part of smaller construction projects.